Michelle is our valued Wills and Estates paralegal and a pivotal part of our Wills and Estates Team. She has a wealth of experience in both estate planning and deceased estate administration. Michelle autonomously manages many aspects of estate administration including obtaining Grants of Probate and Letters of Administration, liaising with relevant stakeholders throughout the administration of an estate, calling in assets, paying debts of the estate and tending to the distribution of an estate at completion. 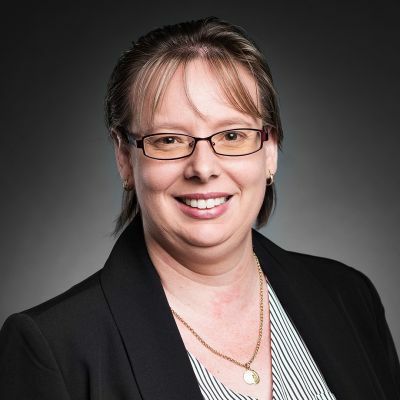 Michelle also assists with the drafting of simple Wills, Enduring Powers of Attorneys, Advance Health Directives and liaising with superannuation funds in relation to all our clients’ estate planning needs. Recognised by our clients for her professional manner and thoroughness, Michelle is a pleasure to deal with throughout what can sometimes be a difficult and confronting process. She takes immense pride in having positive relationships with clients despite often being at the centre of their most difficult days after losing a loved one or, in some cases, helping prepare for the loss. Michelle strives to make an overwhelming process a simple and efficient one, wherever and whenever possible. Michelle takes immense pride in having positive relationships with clients despite often being at the centre of their most difficult days after losing a loved one.